This past Thursday morning we had a great time hosting session one of our Financial Coaching to Survive and Thrive. In this session, we covered financial statements basics. Here are two gems of information that we shared in Thursday's training on putting your financial statements to work. 1)Accounts Receivable collection at 100 Percent? 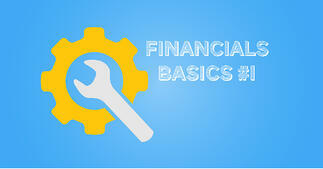 As we went over the items on the balance sheet, we came to the line item of accounts receivable (AR). One question we asked was, "Is it good to have a 100 percent collection rate of your accounts receivable?" You may think that the answer is obvious – yes, but it many cases it is not. While it is great to not have any clients stiff you on the bill, having a 100 percent collection rate could mean that you are too tight with credit offered to your clients. And that means that you could be missing out on more sales. What should be my AR collection rate then? That largely depends on your industry and your profit margin. Here are some questions to start with. What is my AR collection rate? How much gross profit do I make on a sale? How many sales do I need to collect to make up for a non-collectible sale? In what ways can I be more flexible in our credit terms? How much lift in sales will more flexible credit terms produce? If you are not comfortable calculating this for your company, talk to your CPA. One great way to understand the progress your company is making is by tracking the changes in your balance sheet and income statement on a monthly, quarterly, and annual basis. But just comparing last quarter’s numbers with the ones before might not be the best way to gain insights on where your company is going. A better approach is to make each line item a percentage of the total. Here is an example for the assets section on a balance sheet. The beauty of having each item line as a percentage of the total, is that when you compare this to last period’s, you can easily see when the numbers are getting out of balance. Lets say, you are doing great this quarter and you have doubled your sales. So naturally, the numbers on your balance sheet will increase, but then you notice compared to last quarter your cash percent has dropped from 3% last quarter to now 2%. That is a bad trend and you should take action now before you don’t have any cash. The same goes with the other items. If properly set up, QuickBooks can produce this type of report, or you can use excel, or just ask your CPA. Catch those negative trends before you become a distressed-company buyer’s dream. Thanks to those who joined us last Thursday, and we hope the rest of you can join us in our next session next month. Feel free to ask questions below in the comments or contact us directly.